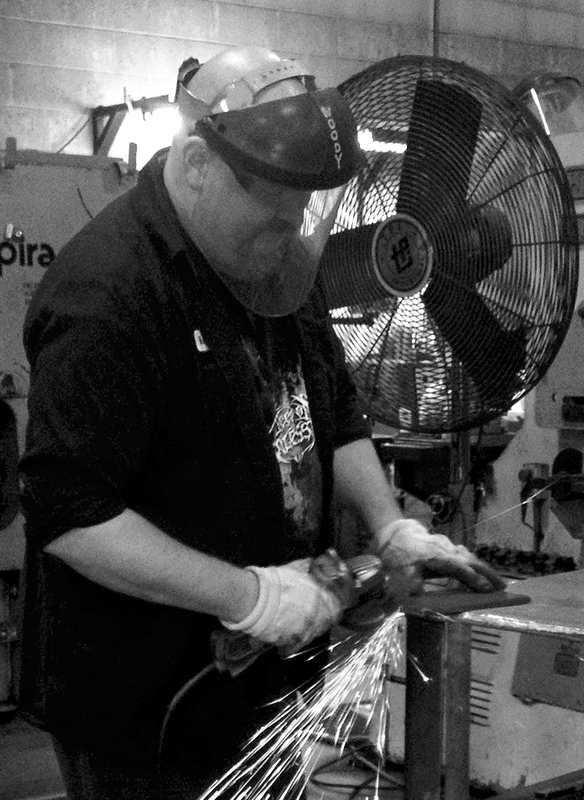 James Wood is a fabricator and certified welder on the production floor at the Spanco facility in Morgantown, Pennsylvania. He’s been an integral member of the Spanco family since November 1997, and according to his co-workers and supervisors, he’s an incredibly hardworking, dedicated guy. As a fabricator, James runs the fabrication equipment on the factory floor. He’s an accomplished machinist, and capable of running all of them, including the lathe, the plasma cutter, and the press. He’s also one of our best certified welders. As a welder, James receives a blueprint for each piece of equipment we produce. Using the prints, he tack welds system components together at isolated points to ensure each system is properly aligned, and then makes the final welds. But James isn’t just a great fabricator; he’s also a wonderful human being. There’s really no better compliment a person could ask for, and when I asked James about what he loves most in the world, he was quick to reply, “My granddaughter.” James has two grown kids and one granddaughter, Jocelyn, who is seven years old. She has a very special relationship with her “Pop-pop”, and seeing the proud look on his face as he showed off her picture was a pretty good indication that she knows how to use that to her advantage. Here at Spanco, we feel pretty confident that we can stand behind our cranes and under them. Especially when we’ve got guys like James Wood helping to put them together. We’d like to thank James for seventeen years of hard work, dedication, and service here at Spanco, and here’s looking forward to seventeen more!